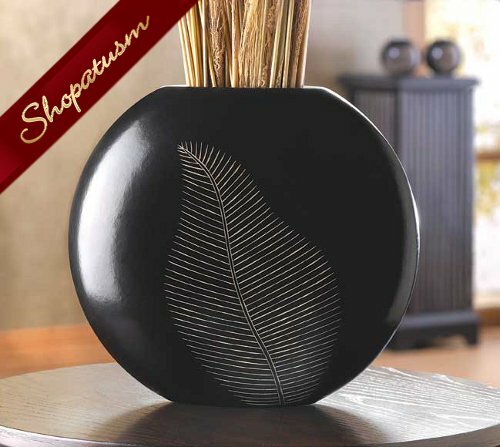 This is for a bulk lot of 10 artisan decorative leaf black wood circular vases from Shopatusm. Simple and striking, this circular wooden vase serves beautifully as a handsome backdrop for a grouping smaller objects, or on its own as a dramatic focal point. Graceful carved leaf adds natural appeal. Decorative purposes only. MDF wood. 13 inch x 4 inch x 11 1/2 inch high.